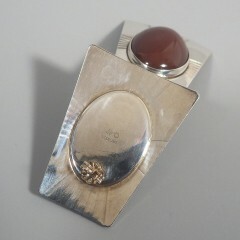 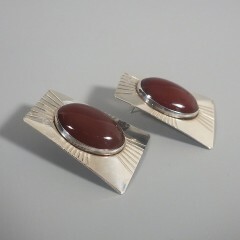 Fabulous vintage Sunwest Silver sterling silver Native American earrings featuring a large oval carnelian cabochon set in a bezel frame. 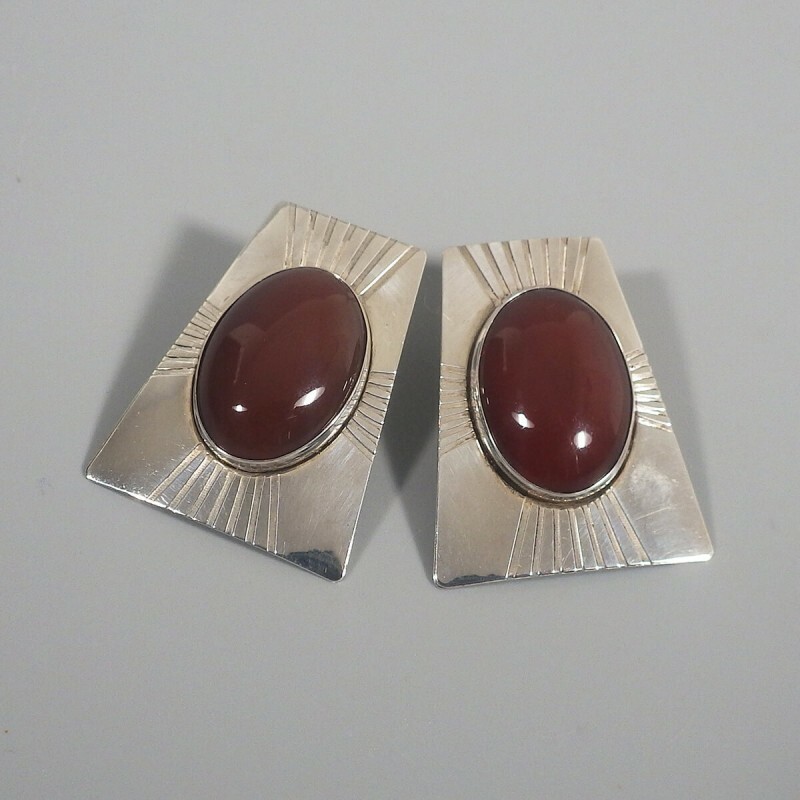 With a trapezoid shape, these handmade post earrings were crafted by a Sunwest Silver jewelry artisan in Albuquerque, New Mexico. 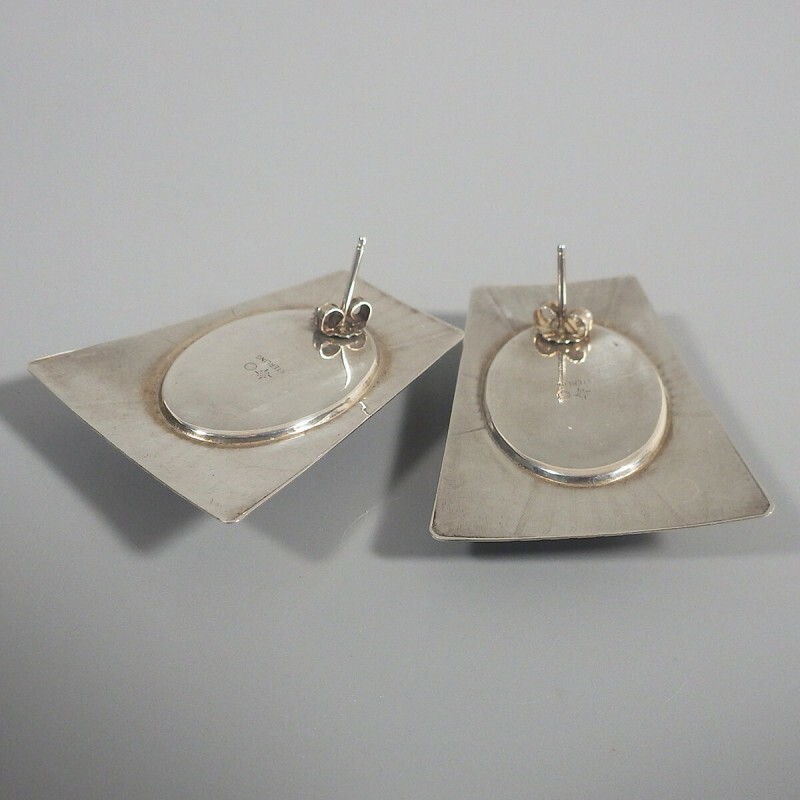 These are a larger post earring, measuring 1-1/4 inch wide at the base (3/4 inch wide at the top) and 1-9/16 inch long, with about 1-1/8 inch of the earring length below the earring post. 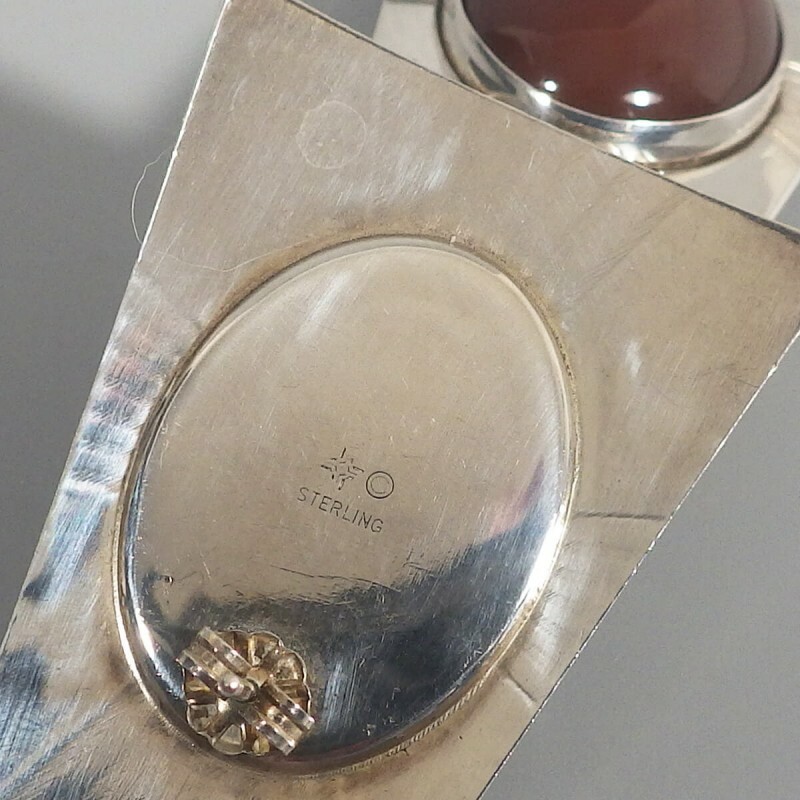 They are marked with the Sunwest Silver Zia sun hallmark, along with the copyright © Sterling.